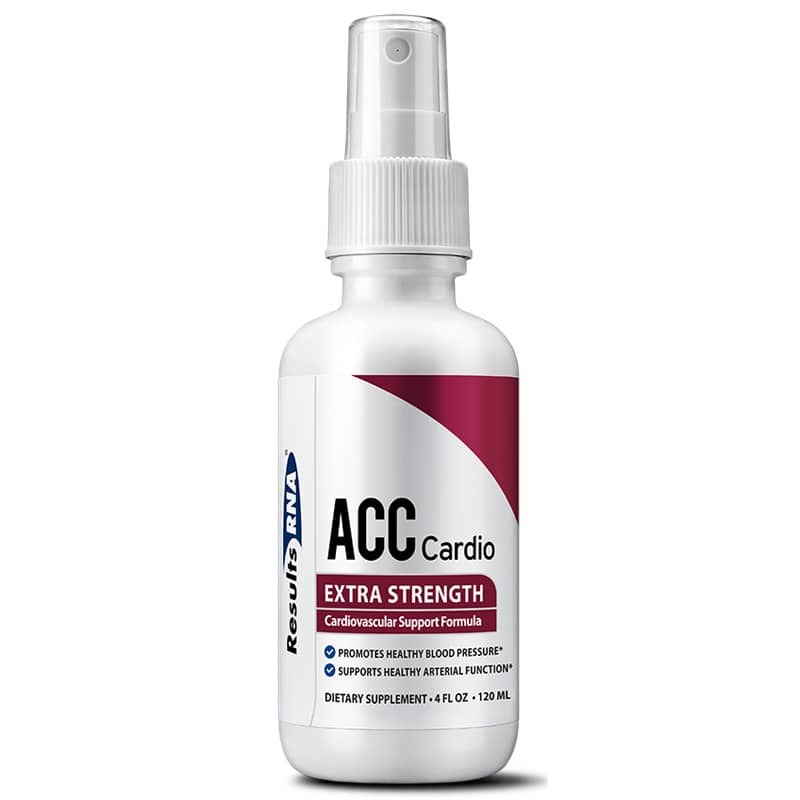 ACC Cardio - Extra Strength by Results RNA is a dietary supplement that seeks to support cardiovascular health. Ships tomorrow if you order in the next 19 hours 47 minutes. Results RNA uses a proprietary blend of nutrients - CoQ10, resveratrol, garlic, L-arginine, magnesium, potassium, calcium, cinnamon, peppermint leaf, vitamins D3 and K2, and natural minerals - to make its ACC Cardio - Extra Strength. The ingredients are meant to work together to provide cardiovascular support. See product label for exact dosage recommendations. It is advised to not eat or drink for two minutes following administration. If you're looking for a unique formula that is designed to support cardiovascular health, consider Results RNA's ACC Cardio - Extra Strength. Formula derived using a proprietary selective nutrient extraction process with Coenzyme Q10 (CoQ10), Resveratrol, L-Arginine, Garlic, Magnesium, Potassium, Calcium, Vitamin D3, Vitamin K2, Cinnamon, Peppermint Leaf (Mentha x piperita) and Natural Minerals.